Monique Lynn Bio, Net Worth, Relationships, Facts/Trivia, Career, Personal Life, Awards & More | Fantasticoh! 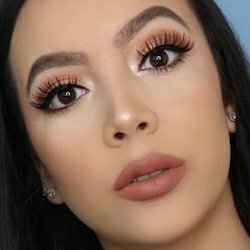 Beauty and makeup enthusiast who has attracted more than 1.2 million followers to her _moniquelynn Instagram account by posting makeup favorites, new beauty products, tutorials, and photos of fashion and her travels. She does the same on her self-titled YouTube channel.